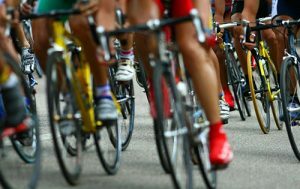 USADA announced today that Thomas Luton, of McKinney, Texas, an athlete in the sport of cycling, has received a four-year sanction for a non-analytical anti-doping rule violation stemming from an investigation into a website called “The Anemia Patient Group,” which illegally marketed and distributed prohibited substances to athletes. Luton, 41, was sanctioned for his use and possession of erythropoietin (EPO), human growth hormone (hGH), and testosterone from 2010 through 2012. EPO and hGH are prohibited substances in the class of Peptide Hormones, Growth Factors and Related Substances, while testosterone is in the class of Anabolic Agents. These substances are prohibited at all times under the USADA Protocol for Olympic and Paralympic Movement Testing, the United States Olympic Committee National Anti-Doping Policies, and the Union Cycliste International Anti-Doping Rules, all of which have adopted the World Anti-Doping Code and the World Anti-Doping Agency Prohibited List. Luton’s period of ineligibility began on December 7, 2016, the date on which his sanction was imposed. In addition, Luton has been disqualified from all competitive results obtained on and subsequent to January 16, 2011, the start of his 2011 cycling season, including forfeiture of any medals, points and prizes. Luton’s anti-doping rule violation was uncovered during USADA’s investigation into the Anemia Patient Group website and is the sixth sanction to result from the investigation. USADA has worked in coordination with law enforcement to investigate cases and values their partnership in defending clean sport.